One of Toilography’s favourite restaurants in Montreal is Mozza Pâtes et Passions. This was my third visit in just as many years – I keep returning not only for their open & experimental take on Italian cuisine (where else can you get linguine with porto & goats cheese on the menu?) 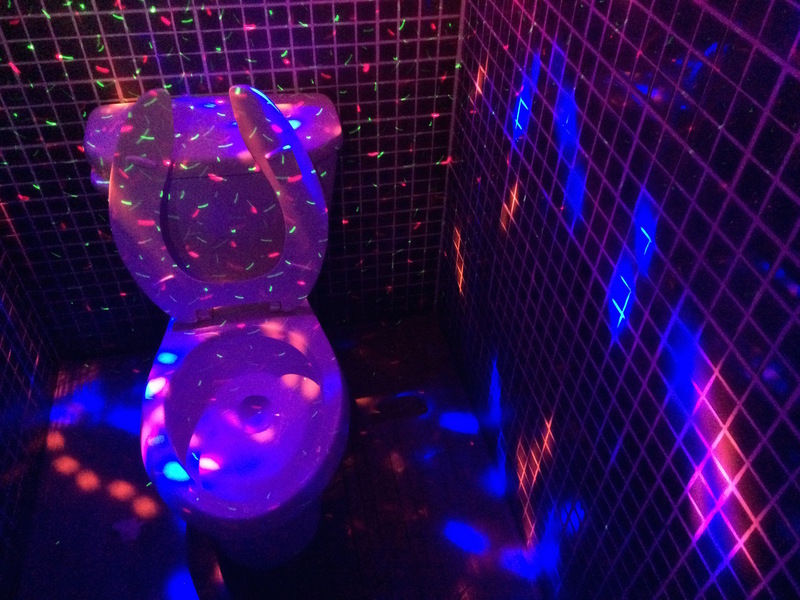 but for the ultimate dessert: the famous DISCO TOILET!! 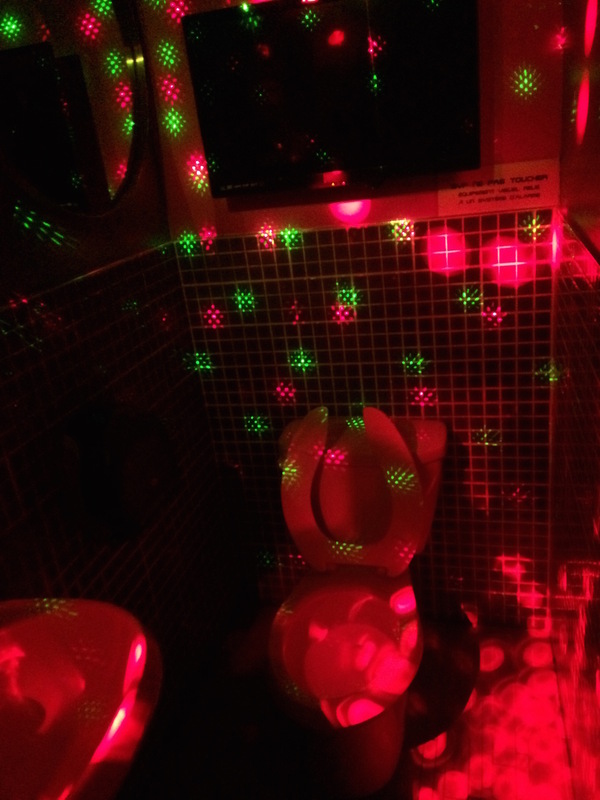 The awesome disco toilet at Otto’s Bierhalle by Queen & Dovercourt in Toronto. 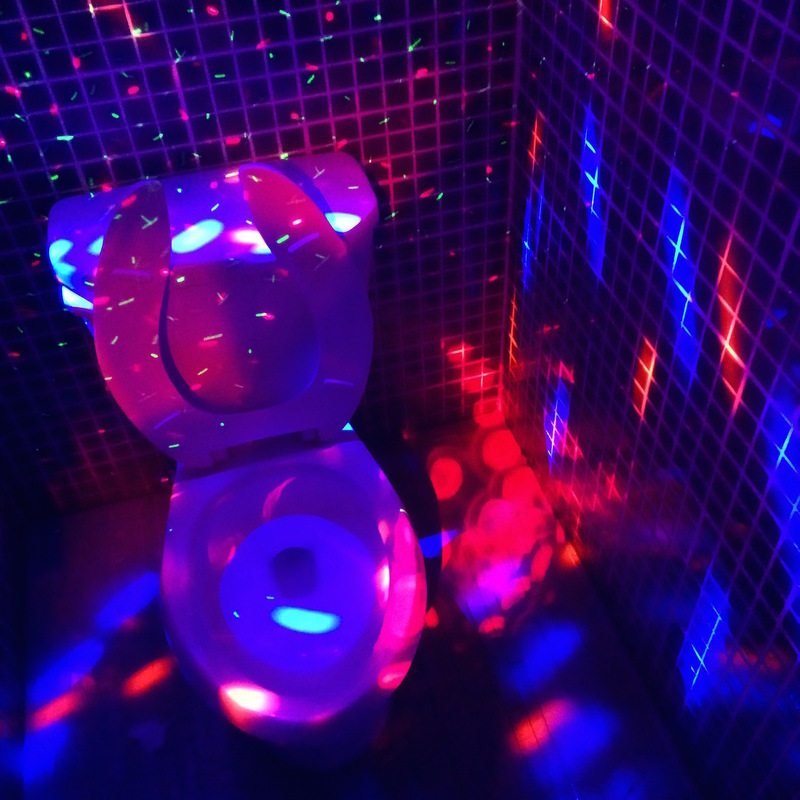 I love that they kept with the disco toilet theme here at the Bierhalle, just like they have at their restaurant in Kensington Market, Otto’s Berlin Doner. 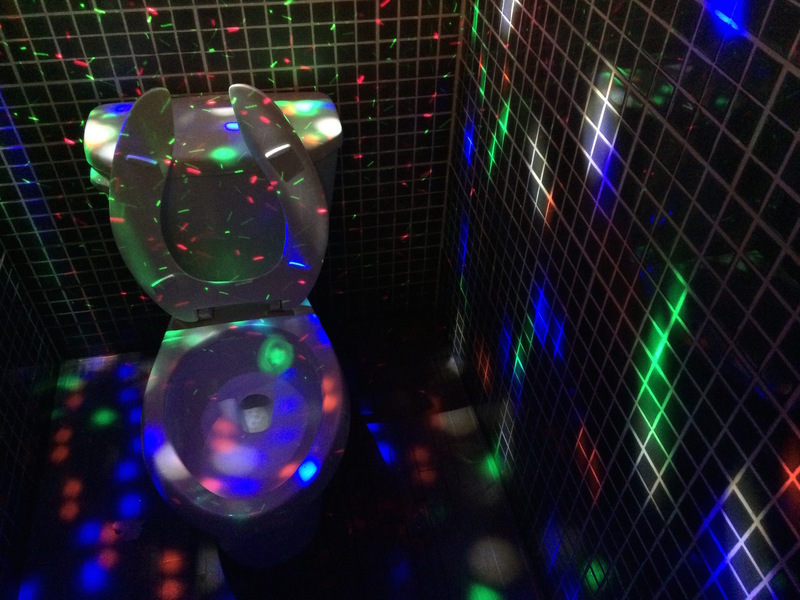 Here are the other disco toilets at Otto’s Berlin Doner! Just across from Place des Festivals in downtown Montreal is a charming little venue called Anticafe, an open-concept cafe full of eccentric decor and pieces of art. 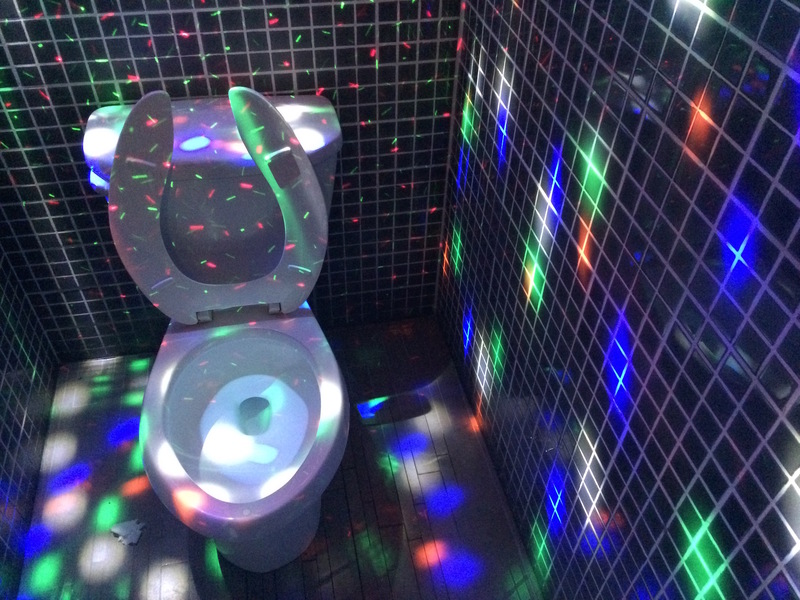 I was so happy to find a disco toilet here.